Leaders are born everywhere in the world and the services rendered by them for the good of their community are many. Although such services are remembered by the people now and then: all their names would not became historical as that of late leader M.H.M. Ashraff whose 12th remembrance falls tomorrow - September 16, 2012. Twelve years have passed, it seems quite a long period. But not when it comes to Ashraff. It seems only yesterday that he took off without bidding us farewell, Aman Ashraff his only son, and his wife Ferial ashraff. Ashraff’s qualities of leadership and respect for bureaucracy developed loyalty and team spirit. Ashraff was a very kind-hearted sensitive and highly emotional personality always with a ready smile and kind word never failing to greet his staff, colleagues and his people, at least with a smile and at the same time he was a leader who wanted things done correctly. Ashraff saw as nobody did before him the politics of the Eastern province with its predominant Muslim habitation. Before his advent, Muslim politicians aligned themselves to the two major political parties, He was no doubt permitted by the waves of radicalism then sweeping across the Islamic world and the growing power of the Arab States. He advocated a bipartisan approach as the only solution to the ethnic problem in this country. This was evident when he made a lasting speech in the last Parliament in August 2000 on the Constitution Bill. He was one of the architects of the draft constitution. He wrote an open letter to the UNP Leader Ranil Wickremesinghe on August 5, 2000 titled ‘The historic role of the UNP on the draft constitution’ in which he appealed to the major parties to forget political differences for the sake of the nation and to unite to solve this burning problem without postponing it to the next Parliament and without thinking of the next election. Late M.H.M. 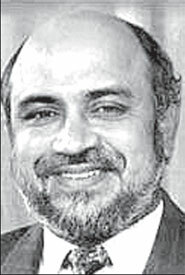 Ashraff, one time Cabinet Minister, Member of Parliament and Sri Lanka Muslim Congress and National Unity Alliance founder leader, died on September 16, 2000 while on his way to his native Amparai district in a Sri Lanka Air Force helicopter which crashed in a blaze of flames in Aranayake. It is almost 12 years since he left us never to return. He was the only son of Mohamed Hussain, a highly respected village headman and Matheena Ummah whom he loved dearly. Being a son of the Eastern soil, he was in some respects an heir to a political legacy having been a member of the influential Kariapper family of Kalmunai. He had his primary education at Wesley College, Kalmunai and had to leave his home region, to pursue further studies at the metropolis. In 1970, he joined Law College where he excelled and manifested prowess, in the field of constitutional law by writing the first book on constitutional law in Tamil with particular reference to 1972 Republican Constitution of Sri Lanka. At Ceylon Law College the natural nursery of many a political leader he was the president of the law students Muslim Majlis and of the Tamil Mantram and was an influential member of the student community, nearly missing the coveted position of president of the Law Students’ Union. In 1974, he joined the Attorney General’s Department as a State Counsel, and worked there to get himself acquainted with the law to become an eminent lawyer. He practised in Kalmunai. He completed the Masters Degree in Law prior to becoming a senior minister. He was honoured with the title President’s Counsel. The declaration on November 19, 1986 naming the SLMC a national political party was a milestone in Ashraff’s political career, as well as the history of Sri Lanka Muslim politics. The symbol of his party was the tree. The tree was planted and nurtured in the Eastern and Northern and other parts of Muslim areas in Sri Lanka. In 1989, he entered Parliament as an MP. In the 1994, general election he was returned to Parliament with seven MPs from North and East. Two SLMC MPs from the East were appointed Deputy Ministers and one MP, the party General Secretary and present Leader of SLMC Rauff Hakeem, as the Deputy Chairman of Committees. The SLMC played a constructive role in Sri Lankan politics. Ashraff became Minister of Ports, Shipping, Rehabilitation and Reconstruction. Ashraff, fulfilled his responsibilities as a minister with the utmost dedication and efficiency. He had a broad, liberal and enlightened perspective. He had a very clear understanding of his role as a minister and the role of the bureaucracy. He spelt out the policy and strategy of his ministry and thereafter left it to the ministry officials to translate them into action to produce the desired results and goals. Haven’t I told you this? He succeeded in installing his long-standing dream, a roof to shelter the Sri Lanka Muslim Congress, which he named ‘Dharussalam’ the house of peace and dedicated it to Sri Lanka as a whole. He worked hard for peace.